After moving to Sydenham in November 2009 from an area where I had lived for 20 years, I had concerns that I would not settle, fit in, or be welcomed. The people here are friendly, down to earth and open. Lewisham may not be the richest borough in London, but there is a rumble in the jungle and things are happening over here in south east, and I am damn pleased I made the move Sydenham is now firmly placed on the map by the East London Extension line that runs through it, with the first train that arrived on the 23rd of May 2010. You will now be able to travel directly from Highbury & Islington to New Cross, Crystal Palace and West Croydon. 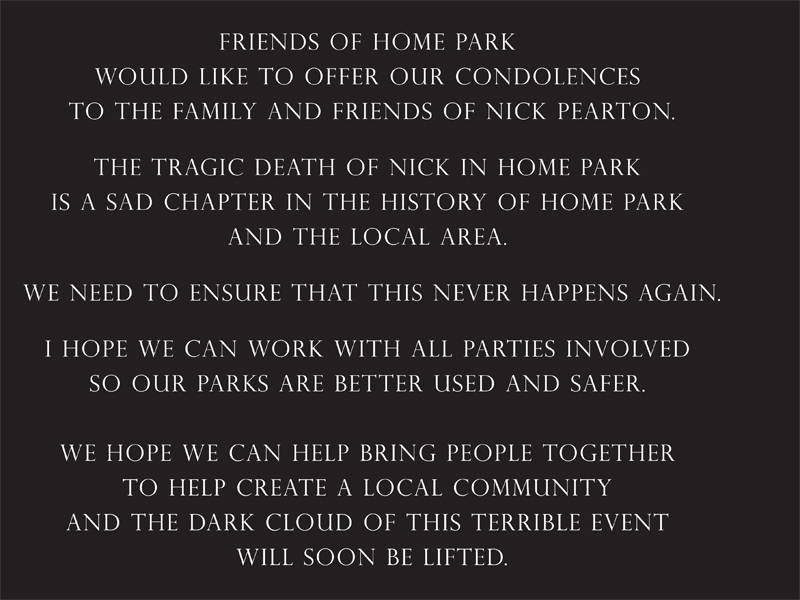 As for myself, I have quickly become acquainted with an exemplarily residents’ group called ‘Friends of Home Park’ (FOHP). 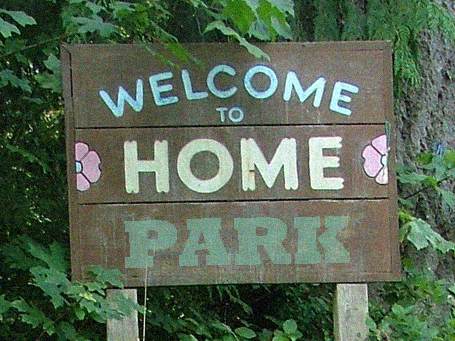 Home Park is located in Lower Sydenham, which has areas of social need. The park has suffered from underinvestment over a number of years, and many local residents do not feel it is safe, partly because of the presence at times of alcohol and drug abusers. Tired of seeing their area lacking in improvements the local residence created FOHP and got the wheel turning. So far, since setting up in April 2009, the group have been successful in gaining funds to enable them to build a community garden, an outdoor classroom for local schools to use, and an outdoor gym!!! Under the umbrella of Sydenham Arts Festival, FOHP in partnership with Treasure Films – a not-for-profit film training company set up by me – are bringing to Home Park a repeat of last years successful Big Outdoor Screening event. Wanting to fully monopolise on the event, FOHP have taken the lead role in adding a Family Fun Day to the beginning of the day, whilst Treasure Films will supply a film-training workshop for young people leading up to the event. The day will be instrumental in bringing together the local community and the wider community visiting Sydenham’s Festival, into Home Park to enjoy summer activities. At the end of the day the film made by a young group, along with a mainstream blockbuster movie, will be screened. Local young people have been involved in choosing which family film will be screened on the day. TBA Tragically, On the 5th of May, a local family suffered a great loss. Nick Pearton, 16, was chased through Home Park, stabbed and died from multiple knife wounds. This has brought sorrow and posed genuine concerns regarding the area. I spoke to Ian White from Bellingham Safer Neighbourhoods Team who told me that events such as the Family Fun Day and The Outdoor Screening were important in producing creative things for young people to get involved in, giving them something positive to do, and for the local community to be brought to together to enjoy summer activities in local parks. Chairman of FOHP, says the park has long been regarded as “the runt of the family” compared to other parks in Lewisham borough, and that plans to improve it “must go ahead”. Lewisham Council with FOHP, along with other key agencies, are working together hard to make improvements to Home Park The Family Fun Day and Outdoor Screening event will take place on August 12th and will involve local organizations that will supply creative wokshops such as Bedlam Bunch drama theatre, Green Frog Theatre Company, plus, interactive learning workshops, face painting, storytelling and picnics. Lewisham’s Young Mayor and his team will be on site on the day. They will be supplying a Workshop “Help the Young Mayor to help you get your voices heard.” The film training will run prior to the all day event and will take place every Saturday throughout July and 12th August at Sydenham library 10am – 4pm. There are only 15 FREE places available on a first-serve basis.